Instant Pot Mashed Potatoes brings the grandaddy of all comfort food to you, super, duper quick! They only cook for 6 minutes if you use an Instant Pot so, total time is 20 minutes max. Plus, these are the most fluffy mashed potatoes eeeevvvveer! Wondering how many Instant Pot recipes a girl can have? Just a few more! Once you use an Instant Pot, you will be looking for more recipes – I’m sure of it! At least, I am. One thing that is so great about using an Instant Pot is that you can easily and quickly make recipes for a crowd. Think about it, serving 16 people, Instant Pot Mashed Potatoes in 20 mins! In my 5 gallon pot, cooking that many potatoes normally takes me at least an hour. It just takes so long for that much water to boil – but not using an Instant Pot! I love time saving recipes! Peeling the potatoes is optional – we enjoy “dirty” mashed potatoes or no peel mashed potatoes – those with the skins still on. I love them basically because I don’t have to peel them = lazy but healthy! Save time (and dirty dishes) by mix potatoes with butter and other ingredients right in the Instant Pot liner. Any type potatoes can be used. 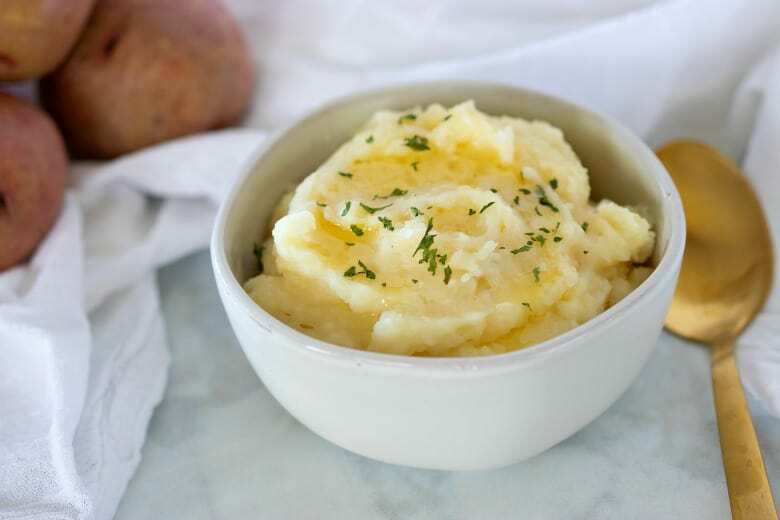 Instant pot mashed red potatoes are delicious too! 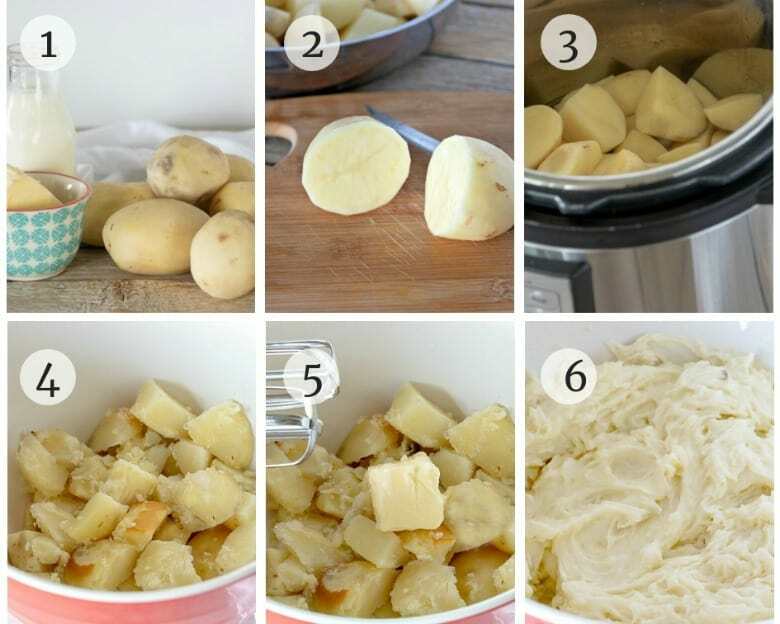 Try adding any one or more of the following to spice up your Instant Pot Mashed Potatoes. Depending on your taste and the amount of potatoes you are using, start with 1/2 cup and adjust to taste. 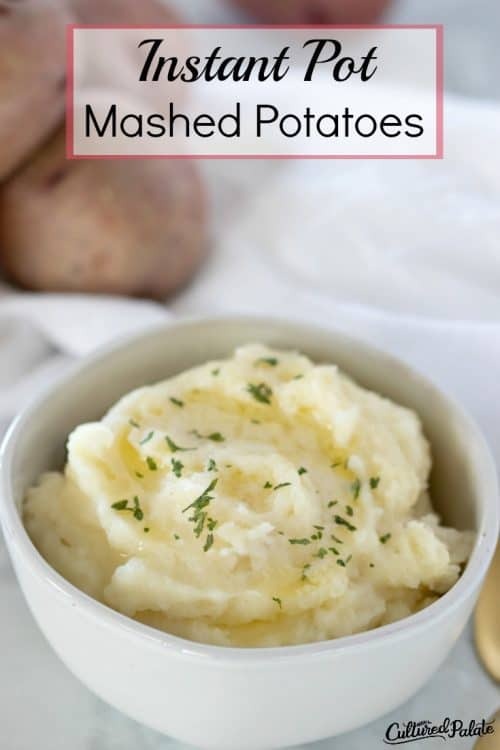 If you’ve tried these INSTANT POT MASHED POTATOES or any other recipe on Cultured Palate, please take a minute to rate the recipe and leave a comment letting me know how you liked it. I love hearing from you! You can also FOLLOW ME on PINTEREST, FACEBOOK, INSTAGRAM, YouTube and TWITTER. Mashed potatoes spell comfort in any language - Now you can have this popular comfort food in a fraction of the time. Peel (if desired) and cut potatoes into quarters. Add water and peeled potatoes to the Instant Pot. Place the lid on the Instant Pot and close the pressure valve. Set on "Manual", high for 6 minutes. Let steam slowly release before opening lid. Add butter, salt, pepper, parsley and milk. Peeling potatoes is optional - our family enjoys "dirty" (with skins) mashed potatoes. 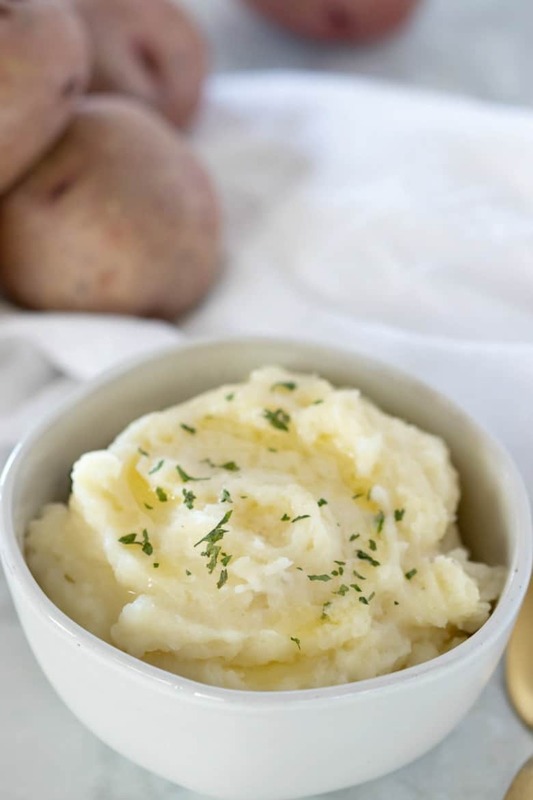 What is your favorite topping for Instant Pot Mashed Potatoes? Leave a comment – I would love to know! I have done so little with my IP—I need to get moving with this! Do you really love yours? Adrienne, I love mine so much that with out big family, I bought a second one! This is a great recipe!!! I tried this last night and they were delicious! I did not have the milk, but I used about a cup of sour cream. Yum!! Mashed potatoes couldn’t be easier—smooth and creamy! Thanks! Thanks, Elise and I love your suggestion to use sour cream! I love cooking mashed potatoes in my Instant Pot! These look perfectly fluffy! Thanks, Kristine, I always love hearing that others enjoy the same!